So when your card life reach 11, it will stay that way ! So its a good thing then ? NO ! You are still able to save the Game as usual but sooner or later, your card will reach its limit and that's it, all your data will be LOST ! 1) Will there be an ENGLISH Version ? 2) So what version do we get ? 3) Can I transfer my IDAS4 ENG Version Card to IDAS5 EXP Version ? 4) Can we still customize the car's body-kits ? 5) What is the best car for IDAS5 ? - Same as IDAS4, every map has their own "Course Car" which performs better on their home-course, so there is no "BEST CAR"
6) Show me the "Course Car" list ! 7) Show me the "New Car" list ! Where is the Tuning Shop ? 9) What is the best Tuning Method ? 10) How to attack a corner in IDAS5 ? - Most corner in IDAS5 need to be taken at 2nd Gear ! - Cornering speeds approx 60-90kmh ! - Cornering with less steering (wheel) angle is desired ! 11) Must we use the brakes ? 12) Does Eraser & PC still work? 13) How about SUPER ULTRA LATE BRAKING ? 14) What are the different shift points in the game ? 15) What is the best start-up for the game? - For TA keeps your rev at 1/4 and then accelerate when GO, as for Battle keep rev at 0 then accelerate when the count reach 1. 16) What car has the best start-up in the game ? 2 : Both car uses TA way of starting up. 1/4 gas on countdown. when there's another 1/3 seconds left to GO, full gas. The Impreza had a 1.5m lead over the MX-5. 3 : No throttle during countdown. After the word "GO" both stepped full gas, and the cars started out evenly. Shadow_z3ro tried this on a couple of different maps that has no line advantages on start-up, and the results are always the same. He then tried with a stock MR2 (FR) and a stock R32 (4WD). Same thing happens the R32 has the advantage. He then test a stock Supra (FR) with a stock R34 (4WD). Same results, with the 4WD taking the lead. 17) What is Tire Management / Boost everyone is talking about ? 18) I'm new, what car do you think I should make first ? 19) What happens if I clear the games more than 10x ? 22) How to add more cars to your garage ? - As usual, play the game, choose the 2nd option ( The one that enables you to tune or change your car ), If you only have 1 car, there should be only 2 options for you. - 1st is your current car, and 2nd is some Japanese Words, select the 2nd one and the machine will ask you for coins to create a new car, simply enter the amount of coins set by your Arcade and you will go to the car selection menu. 23) How to delete / replace a car in the garage ? - This can only be done when you already have 3 cars in your garage. As usual, play the game, choose the 2nd option ( The one that enables you to tune or change your car ), highlight the car that you want to replace and press "VIEW CHANGE". Usually you press the "START" button if you want to select or tune your car. It will prompt you YES or NO, after selecting YES, the machine will ask you for coins to create a new car, simply enter the amount of coins set by your Arcade and you will go to the car selection menu. If you did not wish to create a new car yet, just don't insert any coins when they ask you for it. The slot will be empty when the counter reach zero. 24) Can we still turn off our car's head-lights ? - Yes, you are still able to do it, just press and hold the "START" button. Unlocking is needed during the first round of Story Mode. All opponents are available 2nd round onwards. Beating Bunta is optional for story advancement. - In store battle now allows you to up your racer class. - ...which in turn means auras are now possible. - Tuning shops every eject instead of 3 games previously. - Event mode now available if the machine is hooked up online. EXP2.0 can only join TA based events. Battle events still restricted to Japan. - Avatar change now also possible via in-store battle. - Internet ranking now available, again only through online machines. - Initial D.net services for players with cards registered online. 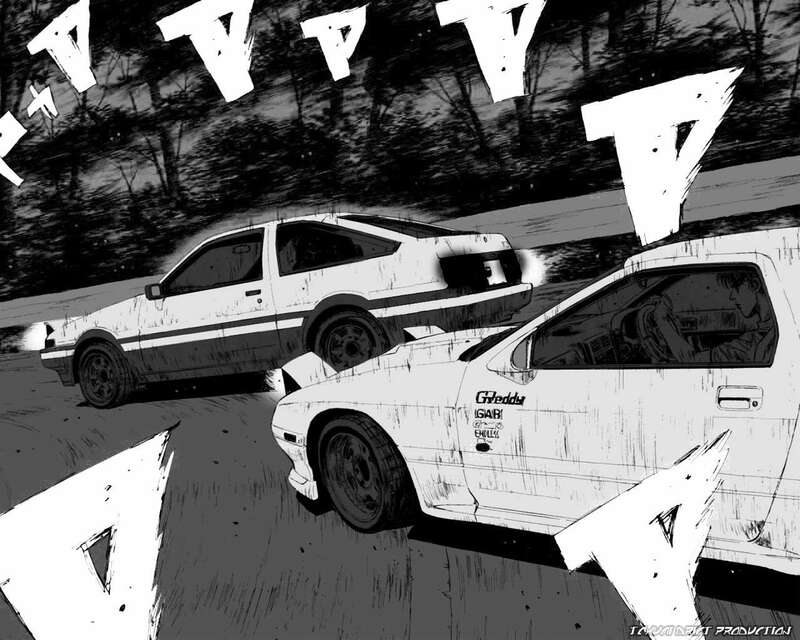 Visit http://game.initiald.sega.com to access. - From EXP ver, yes. However it is a one-way transfer; you cannot use your 2.0 card on 1.0! - Legend of the Street (Story mode) completion status. - All Time Attack records. - In-Store battle records are reset to 0. *In red : Not available as of writing. Japanese players will appear as with home area "JPN" regardless which Japanese home area their cards are registered to. If a transfer from EXP is done at an offline machine, the area code will read as ***, however if the card is inserted into an online machine, the area code of that machine will be registered on the card. Note that the area code will determine which country your TA records will go to under "Area ranking", and it cannot be changed once set. The list is still unchanged from V1. 6) Accessing the tuning shop. Choose the garage option (2nd option on the main menu) and select the car, a prompt will pop up; just hit yes to enter. The green tuning icon is ALWAYS in place in 2.0. Tuning in 2.0 is as same as 1.0, except that the cycle is now much faster, allowing an FT car to be obtained quicker. None whatsoever between 1.0 and 2.0. This is the reason why the TA records are not reset. However battle boost seems to have changed between 1.0 and 2.0....2.0's boost feels much slower. Avatar tuning is only possible via In-Store battle. There is a My Character meter that must be filled up completely before the avatar roulette is available. Any extra bars left over after filling up the current My Character Parts bar will be carried over into the next bar. The rate the roulette spins is fixed, but the speed the roulette stops is not. Sometimes it immediately stops, sometimes it continues to spin a lot longer before it stops. So it's not easy to get the part you want even if you see it on the roulette. Any parts declined cannot be recovered. Parts such as Glasses or accessories, once added to your character, can only be replaced; it cannot be removed. All players will start at D3 regardless of their in-store records in 1.0. In D class, winning or losing will give you bars, but losing will only give you 1/2 of what you would normally have if you won. (You still must win the promotion match to actually level up however). Starting from C class however, losing will deduct bars from your meter. If the meter is emptied, you will receive a warning stating losing again will demote your rank. The lowest you can be demoted to is D1. - If the opponent is of a higher rank, you gain more bars when winning and lose less bars when you lose. - If the opponent is of a lower rank, you gain less bars when winning and lose more bars when you lose - in fact starting from A3, losing to any opponent 3 or more ranks lower than you (B3 or lower in this case) will cause you to lose more bars than you would have gained from the opponent if you had won. Stock cars which do not have ranks will still give bars for your meter, but always be considered as a D3 class for calculation purposes. Once your card rank hits SS, there is a system in place which gauges your win/loss instead of the color meters in the previous ranks. This is the Pride Points system (and there is a internet ranking for this system too - provided your machine is online linked). Once you rank up to SS from S1, you will start with 5 pride points. If for any reason your pride points drop to 0, just like any other ranks, you will be greeted with a message telling you that if you LOSE the next match, you will drop to S1. Winning this demotion risk match only gets you 1 pride point back (meaning you're still not any safer than before). Since of course, SS is the highest rank already, the more pride points you have, the safer you are from demotion. - Card renewal requires the machine to be online at time of renewal. No online, no renewal. Renewal is similar to all the other version renewals. - If the machine is offline, the play count will be stuck at 11 plays (or if it's already gone below that, stuck at that number).